Bihar banned Liquor in early 1970 s , also . Exemption was then being granted , on Medical grounds to eligible Alcoholics . For this Bihar administration printed Application Forms to be filled by those seeking such exemption. BUT THE WORDINGS OF THIS FORM WERE SUCH THAT THE DRUNKARDS WOULD RATHER QUIT ALCOHOL . The Application Form was some what like this ( Hindi ). Please note the construction going on the Right side of the Pic. 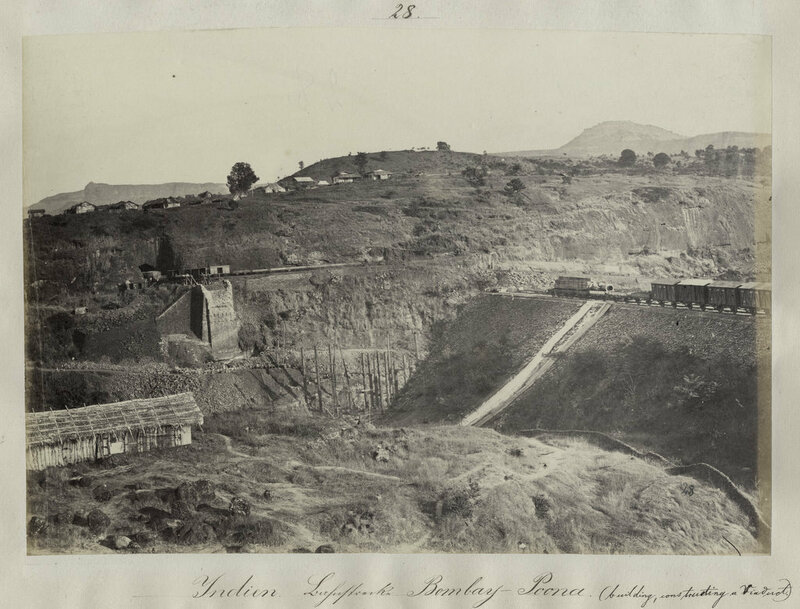 A supply train is unloading construction material on a slide on the hill side . In the above photo , shuttering for arches of the bridge are being built.
" 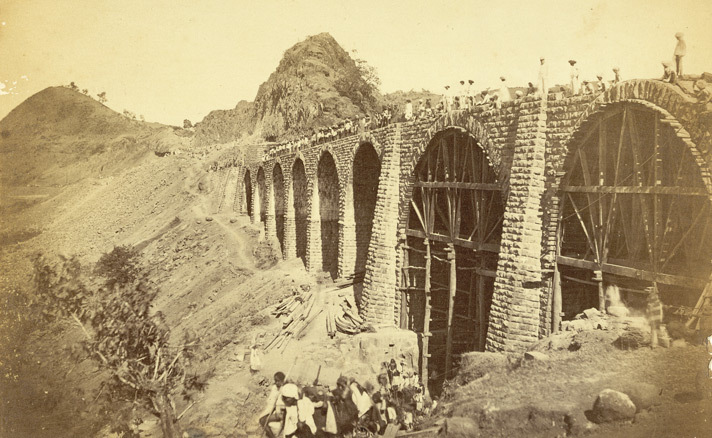 one of the oldest viaducts constructed during the inception of Rail Connectivity between Bombay and Poona dating back to the year 1858 still strong situated in the breath taking Bore Ghat section between Karjat & Lonavala. 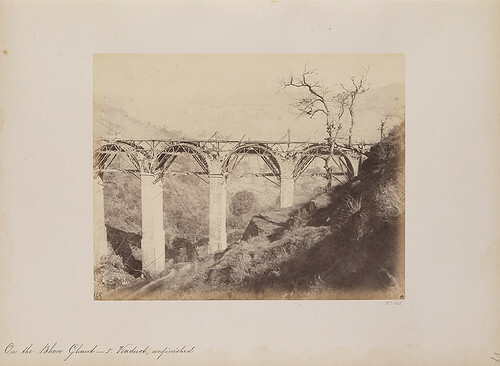 The viaduct had 2 Meter gauge lines running at the start , later when the line was converted to Broad gauge it could only accommodate a single broad gauge line while additional lines were constructed parallel to this viaduct far apart. " This Viaduct is still operational.! Maharaja Shree Umaid Mills ( LN Bangur group ) delisted w e f 02/02/2015 at the Discovered Price of Rs. 90 per share. Dalmia Refractories Limited ( earlier named Shri Nataraj Ceramics And Chemical Industries Limited ) was being traded at NSE. Consequent to Voluntary Exit of Madras Stock Exchange ( wef 14/05/15 ) the agreement between NSE and MSE has been discontinued and shares of Dalmia Refractories ( and other such shares from MSE ) are no longer being traded on NSE.